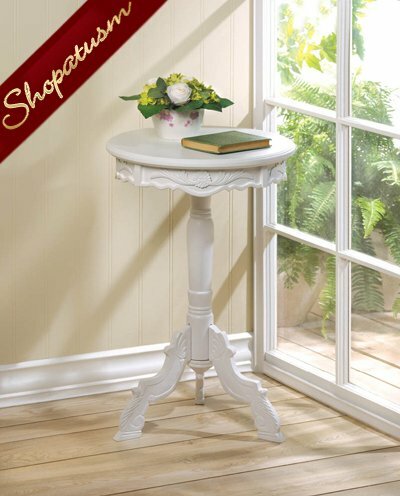 This is for a Mini Rococo White Accent Table Decorative Side Table from Shopatusm. Any small space can be supremely stylish with this small Rococo accent table. It's the perfect blend of romantic design and functional beauty, and it will be ideal next to your bed, sofa or anywhere you need it. Item weight: 4.6 lbs. 16 inch diameter x 24 inch high. Pine and MDF wood.